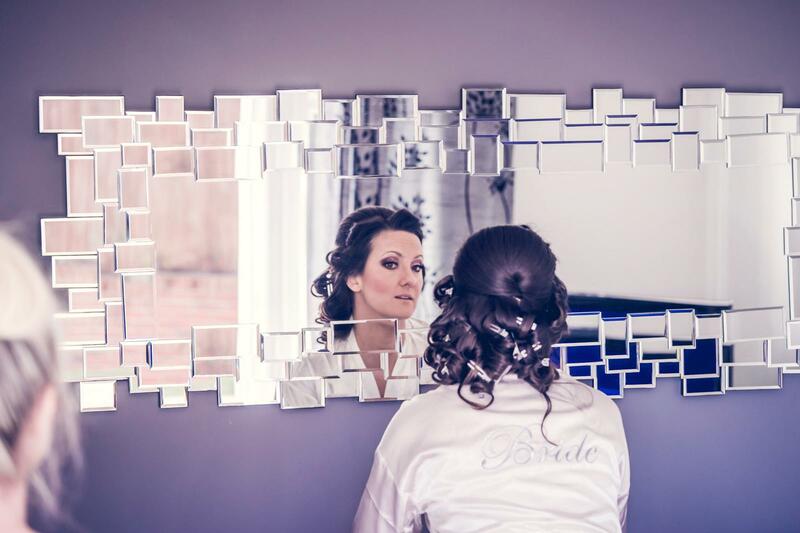 I have been asked a few times, why I chose the make-up I did at the Pro Hair Live London – so I thought, I’d share a little bit about each look and this may help brides-to-be choosing their overall make-up and hair for their wedding. I focused on bringing out Kate’s natural features with berry lipstick and soft tones. The eyes are accentuated with false lashes and a subtle smokiness – all in-keeping with the classic theme. I applied my signature Marilyn Monroe make-up look on Katie, which is hugely popular with modern brides opting for a fusion of retro and contemporary beauty choices. The cheeks are highlighted, as the lips are strong with the iconic Hollywood choice of red. I chose a pinky-red to suit Katie’s fair complexion and to add a modern twist to the vintage vibe, and added the defined black liner flick and kept the complexion glowing and pretty. I created a very pretty, neutral look on Bekah, with a flawless complexion and the subtle bronze and metallic shadows pick up on the shades of her hair, and the shimmer of the satin dress. I kept the make-up so simple on this look, because the hair is such a statement the contrast is needed to balance out the detail. The model also has large features, so these stand out without much definition. The main make-up here is the placement of blusher and shimmer; this runs up the cheekbone in the same line towards the sleek sides of the hair, adding even more height and striking elegance to this avant-garde bridal hairstyle, which was a part of the brief. Hair: http://www.vickilordbridalhair.co.uk. All models wore dress designs and accessories by Kate Edmondson Bridal Couture (http://www.kateedmondsonbridal.co.uk), Hair was created with Balmain extensions (http://www.balmainhair.com and Batiste Dry Shampoo (http://www.BatisteHair.co.uk). I did the make-up ;o) (http://www.kelliwaldock.co.uk), and photographs were taken by Natalie McCarthy (http://nataliemccarthy.photography).